What the what. It's November already. How. Why. When. 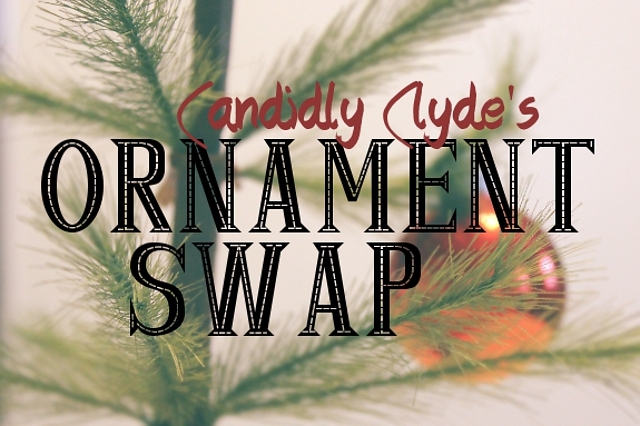 Anyway, all y'all know what that means: It's time for the fifth annual ornament swap! For the uninitiated, the swap is an international event in which two people trade holiday ornaments through the mail. Anyone can join (my mom even participates)! "Swappers" from the United States, Canada, Great Britain, Ireland, Germany, Japan, Taiwan, Trinidad, Spain, Singapore, Australia, New Zealand, Italy, and Romania have all participated, and you will be partnered with someone who shares your shipping preferences (domestic vs. international). 1. Email d.marie755@gmail.com with the subject line ORNAMENT SWAP. 2. Include your name and postal address. 3. Include your shipping preference (international or domestic). 4. The deadline to sign up is Nov. 15! 5. Encourage others to sign up by using the hashtag #ornamentswaparoo!